Come spend a Sunday afternoon filled with some of the best drummers in the world and 700-800 of your closest friends and fellow drummers. 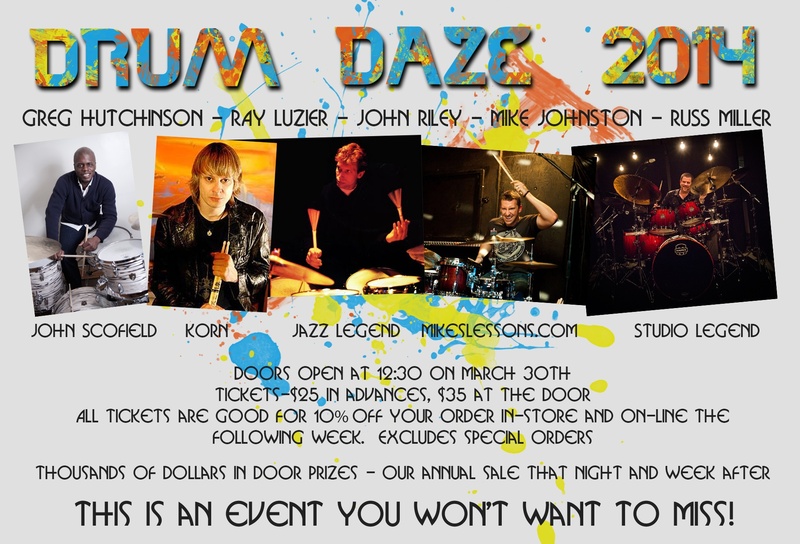 Some details…..
What: Drum Daze is a day of music, drumming, clinics, and performances by some of the best drummers in the world. Each player gets roughly an hour to demonstrate ideas, answer questions, talk about what they do, and play drums! Where: Drum Daze is held in the Capital Theater inside the Vern Riffe Center across from the Statehouse in downtown Columbus. There is not a bad seat in the house, and the sound is great. Tickets: Tickets available online at columbuspercussion.com or in store at Columbus Percussion. Sponsored by Columbus Percussion and Modern Drummer! This is going to be a very special year for Drum Daze. Columbus Percussion has partnered with Modern Drummer for this years Drum Daze! Modern Drummer has a great reputation for putting on fantastic events and we are honored to have them partner with us on Drum Daze! That being said tickets will be going fast this year. Growing up on a farm just outside of Pittsburgh, PA where at age 4 he began with piano lessons that turned his interest to drumming. He was self taught playing along with records of bands like Rush, AC/DC, Ozzy, Van Halen, Zeppelin, Kiss and Deep Purple. Ray performed with bands in high school including Symphonic, Marching, Jazz, and Concert bands. After studying at P.I.T. in L.A. in 1994, his first official tour was with Jake E. Lee (Ozzy Osbourne, Badlands) then on to play and record with various national acts like The Nixons, Arcade and Wicked Alliance. In 1997 another big break came along to play for David Lee Roth who he toured and recorded with for 8 years. A short list of gigs includes Robert and Dean DeLeo (Stone Temple Pilots), Richard Patrick (Filter, NIN) as a member of Army of Anyone, Billy Sheehan (DLR), Wicked Alliance, Hideous Sun Demons and John 5 (Marilyn Manson, Rob Zombie). Late in 2007, Ray was asked to join the mega-metal band KORN. He is currently touring the globe with them. 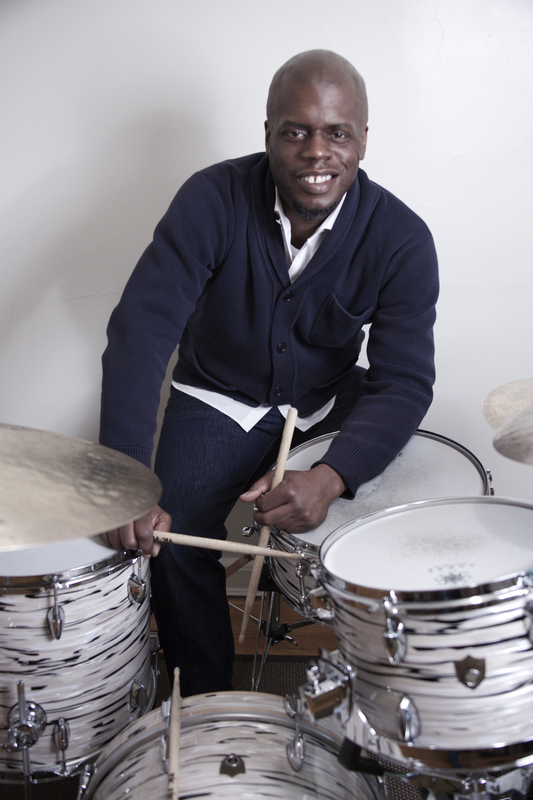 Jazz Magazine describes him as “the drummer of his generation” and indeed, Gregory Hutchinson is one of the most highly respected musicians of our time. His mastery of timing and expression of rhythms is at the core of his personal style. He is a musician’s drummer, soundly rooted in the jazz tradition he is able to approach all styles of music with supreme accuracy and imagination, decorating compositions with his natural feel and mind blowing innovation. The Brooklyn native began to nurture his passion for playing at the very young age of 3. He recalls his first drum set lasting a total of 5 minutes, “I proceeded to put the sticks through the drumhead and not on top of it. I didn’t know about Ted Reed stick control” he muses, “and now fast forward many years, here I am.” His dedication to the instrument was apparent in junior high school and his instructors took notice. At the young age of 12, he would arrive at school an hour early each day and stay behind an hour after. He was encouraged to audition for two music high schools and describes his not being accepted as “the best thing that could have happened to me.” It encouraged him to spend the next four years practicing and also led him to Justin Diccicio who became his mentor. Diccicio’s former students had been Omar Hakim, Kenny Washington, Marcus Miller and Steve Jordon. By accepting an apprenticeship under him, Greg had not only entered a lineage of supreme musical talent, but he had acquired a teacher who was serious in helping him become a professional musician. His professional career began right out of high school, when he was introduced to Red Rodney after playing in a Big Band for a year. He quickly became known as a young phenom in the jazz community sharing the stage with the likes of not only Rodney, but Betty Carter, and Ray Brown while still in his early twenties. He is one of the few musicians today who had the opportunity to collaborate with some of the great orginators of jazz music. Since then he has worked with a virtual who’s who of the jazz world including: Dianne Reeves, Betty Carter, Wynton Marsalis, John Scofield, Roy Hargrove, Charles Lloyd, Diana Krall, Harry Connick Jr, Joshua Redman, Christian McBride and Maria Schneider as well as many other’s. His time signatures and beat compositions have won him praise from the hip hop community as well leading him to work with powerhouses Common and Super producer Kareem Riggins . His experience and technique make him one of the most exciting musicians to watch and hear. He has the creative power to not only nurture, but challenge the very art of drumming. Dianne Reeves describes him as “Pure Genius.” Gary Giddins described his drum work as “Elegant” and more “like dancing.” Joshua Redman describes him as “Inspired.” To Hutch’s credit his goal is to play the drums like Charlie Parker played the horn, “I want to sing on the drums the way he sang on the horn.” If history is any indication, Hutch will indeed continue to be a formidable presence in the musical community. John began playing drums at age eight, after receiving a snare drum as a gift. With the support, encouragement and patience of his parents, John and Mary Ann, he played in the school band and began drum lessons with a good local teacher, Tom Sicola. While under Tom’s guidance, he gained control of the snare drum through work on the rudiments and reading. Eventually, he acquired a complete drumset and lessons expanded to include “beats of the day,” coordination and reading studies for the drumset. At age twelve, John began playing in rock bands and heard his first jazz recordings, the soundtrack to The Gene Krupa Story and Max Roach’s Conversation. Two years later, he played his first “professional” gig, which he obtained through an audition played over the telephone. 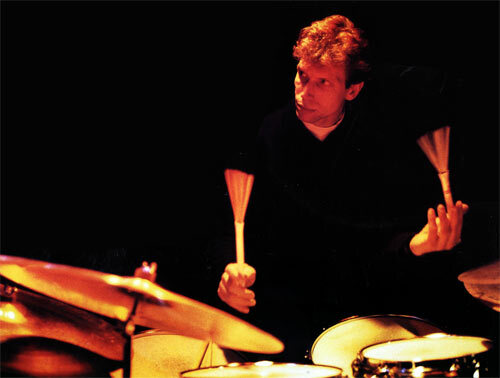 John began studying with Joe Morello in 1971, after meeting him at a drum symposium. John went on to attend the University of North Texas, where he was introduced to a larger world of music and percussion. While at UNT, he played in, toured, and recorded with the famed One O’clock Lab Band. In 1976, he moved to New York City and was soon called to join the Woody Herman Band. Following that great experience, John returned to New York and began freelancing with a wide spectrum of world class musicians including Stan Getz, Milt Jackson, Miles Davis, Dizzy Gillespie, John Scofield, Bob Mintzer, Gary Peacock, Mike Stern, Joe Lovano, the Vanguard Jazz Orchestra, the Carnegie Hall Jazz Band, John Patitucci, Bob Berg, and many others. John has a Bachelor of Music degree in jazz education from the University of North Texas and a Master of Music in jazz studies from Manhattan School of Music. He is on the faculty of Manhattan School of Music, and SUNY Purchase, and is an Artist in Residence at Amsterdam Conservatory, Holland. John is also the author of The Art of Bop Drumming, Beyond Bop Drumming, The Jazz Drummer’s Workshop, and has taught master classes around the world. Online Educator and clinician Mike Johnston began studying the drums at the age of 5. He spent the next 15 years studying privately with some of the greatest educator/drummers of our time including Pete Magadini and Steve Ferrone. At the age of 21 Mike received his first major label record deal with his band Simon Says (Hollywood Records) and spent the next 5 years touring the world. He received a gold record for his contributions to the Varsity Blues soundtrack and has appeared on The Late Show with Dave Letterman as well as on MTV’s Fashionably Loud. Mike currently runs the educational website mikeslessons.com where he offers pre-recorded video drum lessons as well as “LIVE” on-line drum lessons nationally and internationally. Every year he hosts multiple International drum camps at the mikeslessons.com facility. In 2011 & 2012 Mike was nominated for Educator/Clinician of the year by Modern Drummer magazine. 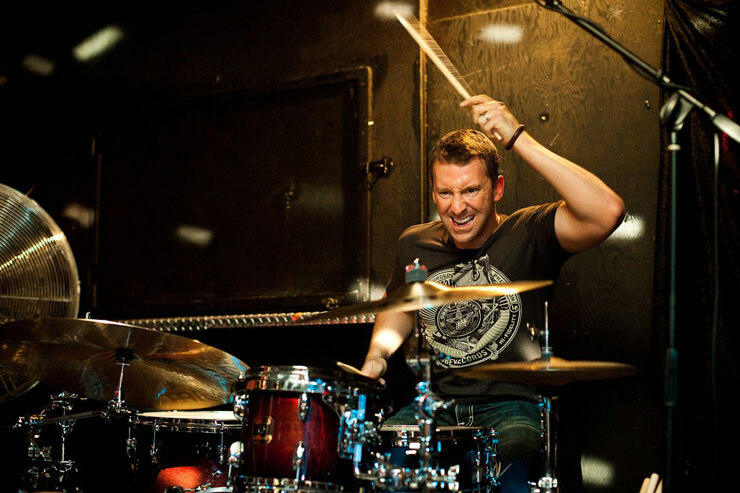 Russ Miller is internationally known as one of the top drummers of today. As a Multi-Platinum recording artist, he has played on multiple Grammy® award winning recordings with combined sales of over 26 million copies. His musical versatility has led him to work with an incredible list of over 50 international artists from legends like Ray Charles, The Fifth Dimension, Natalie Cole, Tina Turner & Bobby Caldwell through modern stars, Nelly Furtado, The Psychedelic Furs, Hilary Duff, Steve Perry, Andrea Bocelli, Daniel Bedingfield and Meredith Brooks. As a star of the Los Angeles studio scene, the Modern Drummer Magazine Readers Poll has repeatedly voted Russ in the top 5 Studio Drummers in the world, including 2010, when he was voted the #2 Session drummer. He has performed on more than 250 albums (including many #1 Billboard hits like Nelly Furtado’s “Whoa Nelly” and Hilary Duff’s “Metamorphosis”). Russ has also recorded for many T.V. shows and over 50 international movies (such as #1 box office titles like “Chicken Little”, “Fracture”, “Lakeview Terrace”, “Resident Evil Apocalypse”, as well as, the “Percy Jackson” and “Boondock Saints” series of movies, just to name a few). Along with his many sideman recording credits, he has been a staple on T.V. “house bands”. Such as “American Idol”, for all of their “Mentoring Sessions”. Russ also has four critically acclaimed solo albums, Cymbalism, Arrival and the Arrival Live concert DVD/CD and his latest with the “Arrival Trio” entitled “Chegada3″. 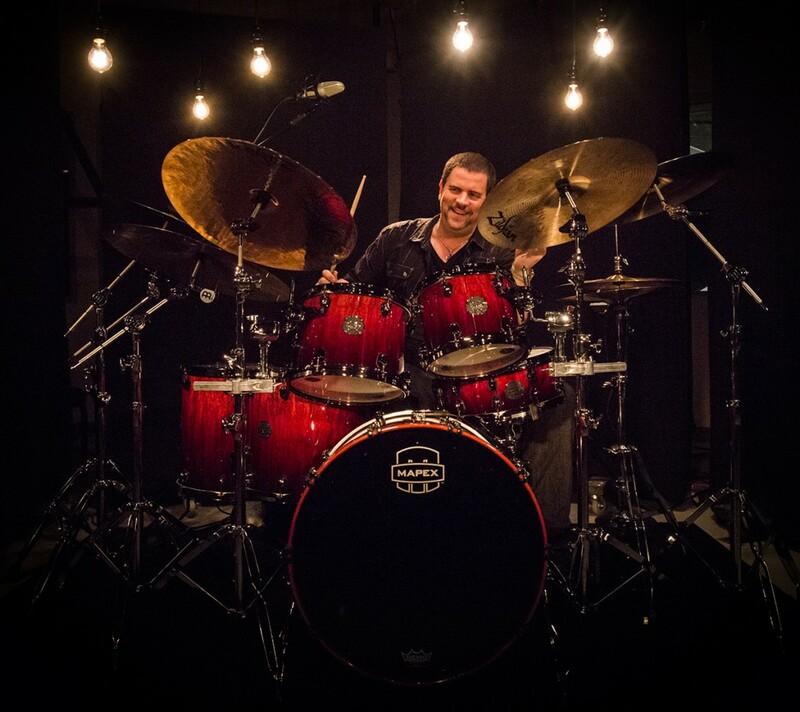 In addition, Russ performs educational clinics throughout the world for Mapex Drums, Zildjian, Remo, Vic Firth, Porter & Davies Tactile monitoring, Hercules stands, Prologix, ReAl Audio Electronics, SKB Cases and Meinl music instruments, for which he maintains product endorsement relationships and multiple signature instruments. Russ also has authored two books: The Drum Set Crash Course and Transitions, along with his three videos, “Arrival-Behind The Glass” from Hudson Music, The Drum Set Crash Course and The Drum Set Crash Course Tuning Edition from Alfred Publications. A 7-time Modern Drummer readers poll winner, Russ’ solo projects were voted the #1 educational books and videos in the world (2001-2004). This entry was posted in Drum Daze 2014. Bookmark the permalink. When will the rest of the line up be released? Hopefully in the next few days. Is there a list of who is coming yet? Or do you at least have some ideas? Is Dennis Chambers confirmed? The website seems like a tease, so I am not sure. I am thinking about traveling out with my son to see the show. We live in the northeast. How about Gene Hoglan, Billy Ward, Carter Beauford, or Benny Greb. My 13 year old would love to see any of these players, me too. I appreciate the info and the video was great. My son and I are hoping to travel to Columbus and make the show…..any chance on getting Gene Hoglan? 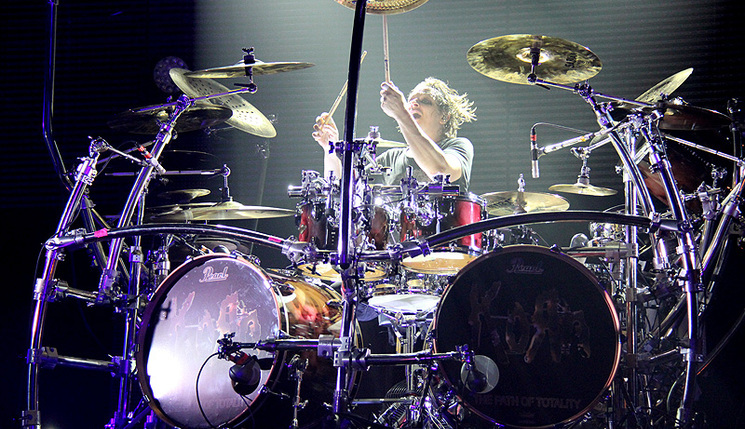 We are not huge fans of his music, but is drumming, video and general personality are awesome. We would love to see him. Will there be any chances for to play on the 30th? We already have a our 5th guy lined up just waiting on a conformation before we announce anything We will have what we call the electronic petting zoo where you can sit down and play/demo some kits. Nice. What times do doors open for the petting zoo and show? Can’t wait to learn who the 5th person is? Maybe Hoglan, or Laboriel? OMG OMG OMG PLEASE TRY TO GET THOMAS LANG. I will cry like a newborn woman if you have Thomas Lang, he is my favourite! I am considering taking a few days off from work to go up and see this but I wanna know who all is going to be there first. Also, will there be anything available to play whilst there? If anyone on Columbus Percussion is reading this, if you wouldn’t mind emailing me when more information is posted; that would be excellent. If not, don’t worry about it. I am the booking agent for Daniel Glass, I’d love to see if we can work together to have Daniel fill the spot. Please drop me a line at the email address above. Thank YOU! Will there be an after party, and sale at the “World Headquarters” of Columbus Pro Percussion? Excited to be coming to the event this year for the first time with my Son. good lineup of Drummers you have here. everything booked, bought , and ready to go. Gonna have to make a small detour to the Motorcycle hall of fame though to See Neil Pearts R30 touring kit and Motorcycle. If you guys can have Cris Coleman come back that would be awesome!! Who is the 5th guy, Jay Lane?